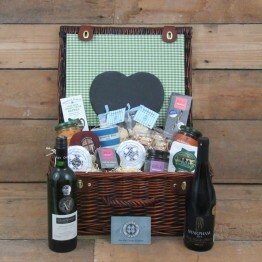 For that extra special someone in your life, we offer our premium hamper range showcasing top award winning food and drink from independent producers across the South West. 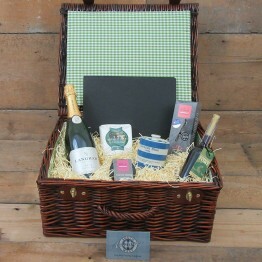 Whether you prefer an indulgence of estate wine and cheese, or perhaps something with a bit of fizz, whichever you choose will be presented in our fully lined luxury vintage brown wicker hampers. 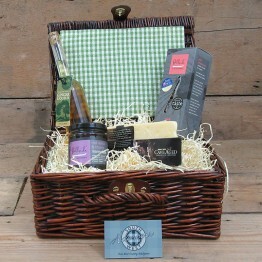 Go on, treat someone to a little bit of West Country luxury! 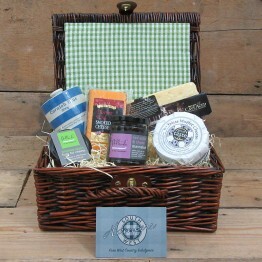 All premium hampers include a free personalised gift card. 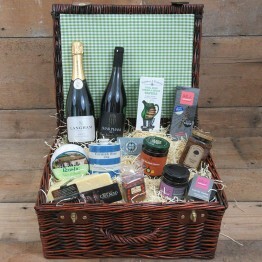 For hampers sent as Christmas gifts we'll also add some extra sparkle with our festive ribbon. 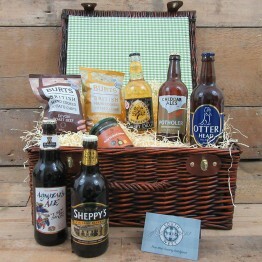 An impressive cave aged farmhouse cheddar dominates this luxury lined hamper, accompanied by delicio..
For those who enjoy a refreshing cup of tea or perhaps like to chill out with a delicious glass of j..
There’s nothing quite like a glass of good quality real ale or cider, therefore this premium hamper .. 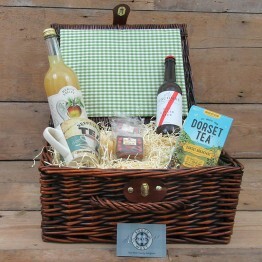 This premium lined hamper presents four types of delicious West Country cheese anyone would be proud..
Our premium lined hamper offers three award winning liqueurs made at the Lyme Bay Winery in Devon, i.. 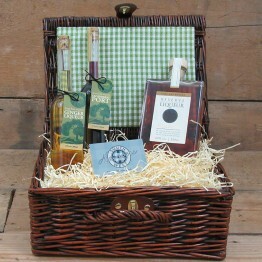 In addition to two from our Collector’s Range liqueurs, we’ve also included an impressive bottle of ..
Named after our two most famous South West’s national parks, Dartmoor and Exmoor, this premium lined..
As the name suggests, our specialist premium hamper presents high end Estate wine and cheeses, chut.. 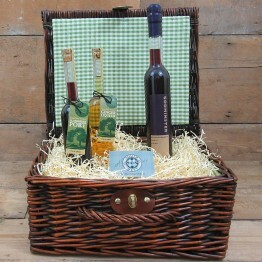 This very special top of the range premium hamper offers award winning English Estate wines and chee..